Viewed as a competent all-in-one option for both photos and video - and thus the only camera many families may ever need - what initially appears a premium price for the SX210 IS begins to make more sense. And, once you've become used to a camera with such a broad focal range that it's possible to frame up subjects near or far in pretty much an instant, it's a drag to go back to your common-or-garden 3x zoom snapper, the usual 'family friendly' tool of choice. 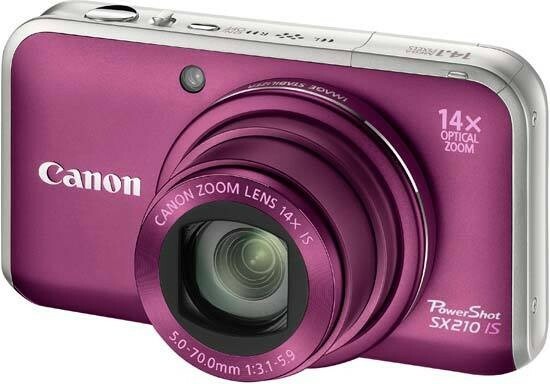 Continuing to focus on the positives, this Canon PowerShot's larger physical size (over, say, a slimline IXUS) also means that children and the elderly should find this offering easier to grip and operate than the latest credit card sized camera alternative. And even with bigger than average dimensions it's still a more portable option than any DSLR or Micro Four Thirds or rival system hybrid for those looking for an able travel companion. The SX210 IS will also help you achieve a wider range of photography than possible with a regular issue compact, and enable you to have fun whilst doing so, which again takes some of the sting out of the high-ish price tag. With the pluses outweighing the minuses then, the Canon PowerShot SX210 IS weighs in as being worthy of a coveted Photography Blog Recommendation for anyone looking for an undemanding travel camera that almost does it all.